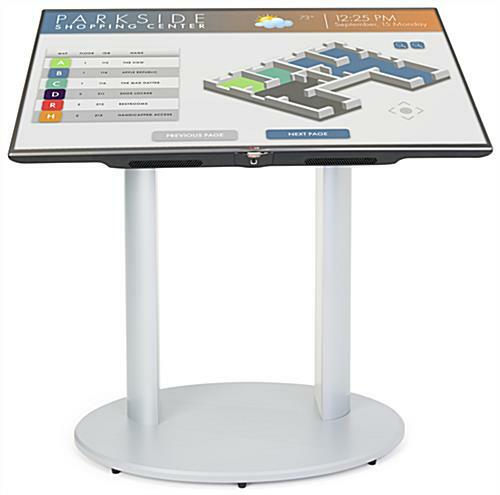 This TV Stand Is an Interactive Display for Large Establishments! This TV Stand For 47" Flat Screen TV Fixes Televisions on Two Metal Posts! This TV Stand Is Part of Our Large Online Collection! 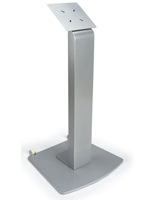 This TV stand, or interaction kiosk stand, has (6) rubber feet on the base of the exhibit. 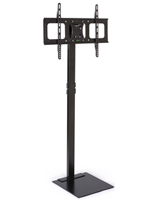 These feet assist preclude scuff marks on the ground and keep the stand stabilized while in position. 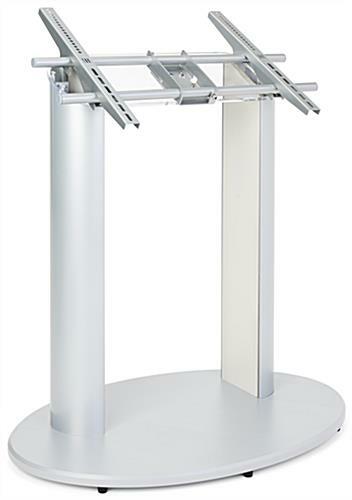 A TV stand has a satin silver color finish to adequately mesh with any surroundings, and is produced from long-lasting substrates to accommodate up well even in high-targeted visitors places. 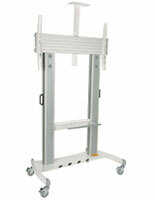 Our company dispatches this TV stand for 47" flat screen TV assembled for comfort of utilize. 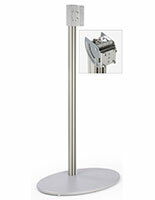 You only have to mount your Sony Bravia, Panasonic, or other monitor to the TV stand with uncomplicated aids! 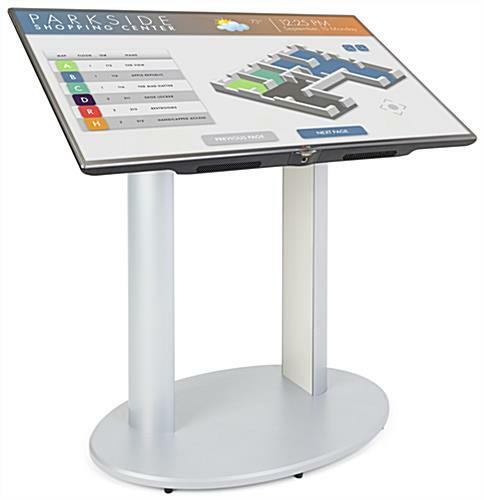 This TV stand, touch monitor directory stand is usually utilized in malls, workplace buildings, and hospitals for offering facts about services and instructions. 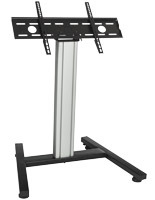 This TV stand utilizes a VESA LG bracket to accommodate a 42" to 60" LCD or plasma TV weighing up to 80 lbs. 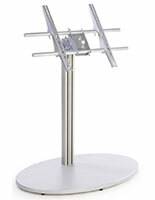 A VESA bracket has been standardized with manufacturers to suit most plasma and flat panel TVs. 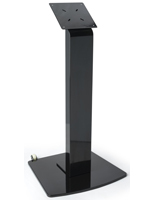 This TV stand, also recognized as a touch monitor directory stand and an interaction foyer kiosk, comes with the needed tools to fasten one's own TV; nevertheless, some may need special screws it is possible to requisition at any indigenous tools shop.